Real World co-creator Jonathan Murray talks to Salon about charges that the show has descended into exploitation. Comcast is making moves to increase Latino diversity in it corporate efforts, as part of its NBCU deal appeal. Not a shocker, but still a bummer: Party Down won't return for a third season. More from Rick Porter. Co-creator Rob Thomas says he's sad but not surprised. I've gone for the sleek look and dropped the "blogspot" from my URL. So we're straight www.newsfortvmajors.com now. Blogger will do the forwarding for you for some unknown period of time, but if you've got a sec, you can update your bookmarks and RSS accordingly. Fox News Channel's ratings dominance could translate into a big subscriber fee boost. Irin Carmon writes of The Daily Show's women problem (and Jon Stewart's "joyless rage" problem). Note: An additional link and a pair of great comments have been added to this post, so click the heading or comment link and check it out. Related: the NYT profiles new correspondent Olivia Munn. UPDATE: Jon Stewart made brief mention of this last night. Kevin Downey analyzes the state of Spanish-language TV in the US. As if things weren't going badly enough at CNN already, The Wrap reports that there's a bunch of internal discord, with Anderson Cooper frustrated with ratings and his executive producer and other anchors jealous that Cooper is given so many resources. The article also claims Cooper is entertaining new offers. Cooper has denied The Wrap's claims in an email to colleagues. James Franco renews his General Hospital stint starting today, and he tells Rick Porter about the artistic motivation behind it. And Dana Goodyear captures the production scene. The "plus" is $9.95 a month (plus still some ads), as Hulu reveals its subscription service plan. Slogan: “More wherever. More whenever. Than ever.” The plan spans three screens. Hulu's CEO introduces the plan, and Peter Kafka assesses the plan. Ryan Lawler considers the plan in terms of Netflix as competitor, and Liz Shannon Miller compares Hulu and Netflix Instant content. Chad Catacchio wonders if this is a tactical error by Hulu. More coverage: Dan Frommer says this is no threat to cable, in fact Hulu's CEO himself swears it's not a cable killer. paidContent looks at what you can access without a subscription. Will Richmond has seven quick reactions. Paul William Tenny isn't a fan of the Netflix comparisons, but says Hulu wins anyway because it's run by the content providers. Ryan Lawler wonders if this is another nail in the DVD coffin. Chao Deng reports: "Researchers from the University of California, San Diego, have found that people over 65 watch three times more TV than younger adults. Yet older people enjoy their viewing far less. Younger people said watching TV helped them relieve stress, but that relaxing effect seemed to decrease with age." The WGA West's magazine has informative profiles of the writer-creators of a group of USA Network shows: Covert Affairs, White Collar, Royal Pains, In Plain Sight, Psych, and Burn Notice. Larry King has announced the impending end of Larry King Live. Matea Gold has instant analysis. Steve Krakauer interviews CNN's president about King and other issues, Salon has clips of Larry's weirdest celebrity interview moments and THR has some of his worst moments. Matt Zoller Seitz says Entourage is "TV's best depiction of working-class boys navigating wealth." Meg James profiles the new head of Showtime, David Nevins, and considers what changes he could bring to the pay cable outlet. Standards for mobile TV are being tested in several regions. TV critic Alan Sepinwall has completed his "If I had an Emmy ballot" series with his Outstanding Drama picks. Links to all of his previous entries are in the post. Sharon Jayson explores the claim that television is encouraging emotional overreactions. Jaime Weinman introduces us to the end of Earl Pomerantz's lengthy series of blog posts about his career as a sitcom TV writer. 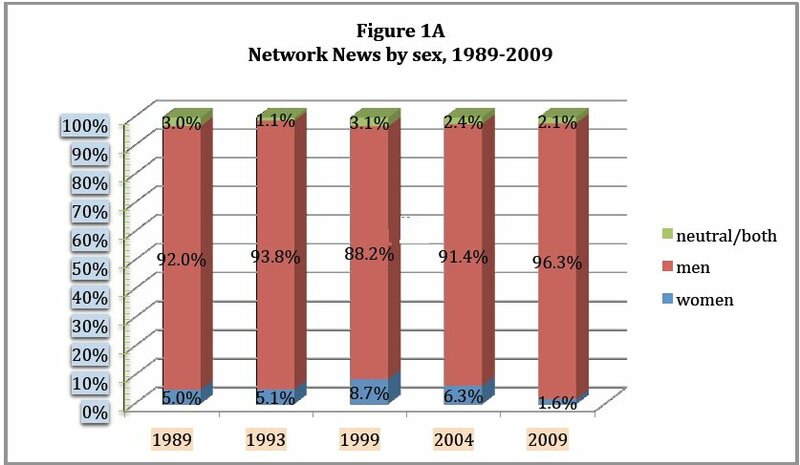 Network evening newscasts have lost one million viewers over the past year. Forbes has released its updated list of the richest celebrities. In regard to TV people, Oprah Winfrey is #1 overall, Simon Cowell is #11, and Dr. Phil is #21. Alex Ben Block reports on a decline in spending on product placement for TV and other media outlets. Myles McNutt comments on Treme's critically mixed first season in regard to how we judge success and failure on television: "I would argue that Treme is flawed, as The Wire was at points within its run, but I would also argue that its willingness to go out on a narrative limb is bound to fail for some people, and that Simon has nothing to apologize for." Deadline is reporting that Glee and Modern Family have already closed syndication deals; Glee reruns will air on Oxygen, while Modern Family will pop up on USA. The Glee deal will also include a related casting reality show. Cindy Wallis analyzes the logic of both deals. The UK has agreed to allow product placement on commercial TV (except for news, religious and children's programs), but those programs with product placement must be identified with a symbol at the beginning and end. Joel Keller interviews comedian Louis C.K. about his new FX show (as well as his previous frustration at HBO), including the intriguing policies about which swear words you can and can't say on FX. Also, Cristina Kinon reports on how Louie is part of FX's new comedy approach. Lacey Rose profiles TBS head Steve Koonin, who's especially become recognized for luring Conan O'Brien to cable. Another story, this one from B&C, on how local TV news personalities are using Twitter to attract followers and viewers. The MLB Network isn't a ratings success yet, but by keeping carriage fees moderate, it's given itself a chance to find a lot of viewers. Marvel, the comic books company, has launched a TV division. Greg Braxton profiles J.R. Martinez, a disfigured Iraq war veteran now forging an acting career on the ABC soap All My Children. Will Richmond covers how Fox, NBC, and Hulu are parceling out online ad loads. The battle to control the boxes that bring content to your TVs is heating up. A Malaysian cable channel is airing a reality TV show that will select a Muslim leader (no women need apply). The Daytime Emmys were held last night, with the canceled As the World Turns, The Bold and the Beautiful, General Hospital, Cash Cab, and Dr. Oz as the big winners. The USA-Ghana World Cup match on Saturday drew big ratings, making it the most-watched men's soccer game in American history. Nielsen says an average of 14.9 million viewers tuned in to watch, though one wonders about the number of viewers in bars and public places, a traditional part of the World Cup ritual. Update: Now Nielsen is reporting an audience of 19.4 million, surpassing all other matches, including the 1999 women's World Cup final. Richard Sandomir interviews ESPN and Univision execs. Fast food advertisers are shifting money away from local station spots and toward national cable slots. Brian Steinberg reports on how advertisers are paying more for network time, even as the audience is eroding. Matea Gold and Richard Verrier report on the legal issues surrounding children performing on reality TV shows. With the DVD release of the entire Leave It to Beaver series, Neil Genzlinger looks back on the show and its legacy. Virginia Heffernan assesses the impact of HDTV's level of visual detail on beauty standards. Another finale for a great show few people watch has aired, and another interview that contains info that will be compelling even to non-viewers of that show has been posted. This time around, it's the comedy Party Down (aired on Starz but also available via Netflix Instant Viewing) and Alan Sepinwall's interview with co-creator John Enbom, who among other revealing insights offers this about the challenge of writing for a show with an uncertain end date (it has run for two seasons and renewal is still up in the air): "Because our own fate is so uncertain, we don't get too far ahead of ourselves, because we have no idea idea what's going to happen to us. We tend not to go too far down the road until we know what the road's going to be." Also, Jaime Weinman chimes in with an interesting review of Party Down in which he proposes that cable comedy narratives are more formula-bound than network ones, the reverse of drama circumstances. Josef Adalian analyzes how TV Land made Hot in Cleveland a multi-cam hit. CBS and ESPN are arguing over whose coverage, of the NCAA tourney and World Cup respectively, has engendered more unique streams online. The article, written by Richard Sandomir, contains this striking stat: "the size of the crowd that surfed to the United States-Algeria game...represented the equivalent of about 16 percent of the game’s TV audience." Showtime's president for the last seven years is stepping down. YouTube views are surging, and Hulu's are also up, but the latter's audience growth is flat. Meanwhile a beta test of Hulu's subscription service could arrive next week, and one of the places it might show up is on PlayStation. Finally, Peter Kafka notes that ABC's iPad app is free, but ABC's shows won't be free on Hulu. David B. Wilkerson says the ad market momentum started at the network upfronts will carry through the year. Richard Huff reports on TV news anchors' concerns about their age being used against them. News Corp.'s Farsi1 satellite channel,which broadcasts Persian language programming from Dubai, including dubbed US programming like 24 and telenovelas, is running into resistance in Iran and Afghanistan. Jon Friedman rips CNN for giving Eliot Spitzer a show. The FCC has stopped the clock on their 180-day deadline for reviewing the Comcast-NBCU deal because the companies haven't provided all the information the Commission has asked for. Todd Spangler reports on survey finding that Americans want more interactivity with their TV. My favorite stat: "Only 20% feel their TVs are 'personalized' to their own needs and tastes, compared with 81% who said their personal computers are." The notion of TV being personalized to needs and tastes is very striking. A separate study found that social media discussion does drive new viewers to shows. Current TV is undergoing an overhaul. Rachel Sklar laments the lack of diversity among cable news hosts: "Chris Matthews is white, like Bill O’Reilly is white and Keith Olbermann is white, like Wolf Blitzer is white and Megyn Kelly is white and John King is white and Ed Schultz, Greta Van Susteren, Jake Tapper, Joe Scarborough, Bob Schieffer, David Gregory, Chris Wallace, Rachel Maddow, and Dylan Ratigan are white, not unlike the lion’s share of their guests." Frazier Moore considers the end of production on As the World Turns. Levi's is launching an ad campaign tied to the recession and a struggling town in Pennsylvania. Sears, of all companies, is planning to launch a film/TV download store. Viacom has lost its suit against YouTube. James Poniewozik says this is good for all of us; conversely, the Progress & Freedom Foundation says we all lose. Reporting from the LA Times, New York Times, and the Wall Street Journal. The final episodes of Deadliest Catch will chronicle the stroke and death of Captain Phil Harris. Update: Brian Moylan reviews the first episode, which reached a ratings record for the show. I haven't spent much time doing anything but sitting in front of my TV today, and James Poniewozik describes why. The White House is pushing forth a strategic plan to battle movie and TV piracy. Media Life reports on USA's summer dominance and offers a summer TV survey. The Oscars might move to January; Lane Brown offers five reasons why that would be a good idea. Anne Thompson says it won't happen. Hulu might be adding CBS, Viacom & Time Warner channels to its upcoming paid service. Jimmy Kimmel taped a show on his MacBook due to a studio power outage; Ken Tucker praises the result. Jaime Weinman explores why the multi-camera sitcom experienced such dominance from the 1970s through the 1990s. A consortium of advertisers is putting $10 million toward funding the sponsorship of "family entertainment" on the networks. Bill Gorman notes that while cord cutting may not be rising, changing cords from cable to satellite or telco providers is. The DC version of The Real World was the lowest-rated yet, and MTV apparently feels it erred in elevating the show above trashy behavior. That will be rectified with the upcoming New Orleans version. Matt Zoller Seitz argues that Jon Stewart's mockery of Obama shows him to be a true satirist. Todd VanDerWerff chronicles the very bizarre fourth season of Til Death, which apparently purposely went off the rails because the figured no one was watching. Disney is trying to create the next SpongeBob-type hit in Phineas and Ferb. If you watched Treme, you'll be interested in this great review from Myles McNutt and his summary of critical responses. And even if you're among the many who didn't watch it, you'll be interested in this Alan Sepinwall interview with David Simon, in which Simon says some very intriguing things about TV storytelling, such as that he doesn't appreciate it when people judge individual episodes before a season is over. Jaime Weinman responds to some of Simon's points. On cable this summer, Tuesday is the big night. History (the channel, which used to conveniently be called History Channel, but now is just History, which is kind of a pain, because especially to start a sentence it looks like the ordinary noun, not a proper name) has overhauled its website. Kelli Marshall offers compelling thoughts about stars who have scars. Alisa Perren interviews Burn Notice staff writer Michael Horowitz about advice for aspiring writers. James Franco is returning to General Hospital, and there will be a real-life (sort of) performance art tie-in this time. Elsewhere, Franco shares a few thoughts about control as an actor and soap acting. And Anne Thompson assesses his unique career path. R. Thomas Umstead reports on the rise in original movies on cable networks. SyFy is even asking fans to help them create one. Scott Collins describes how TLC is pitching its programs at middle-class Middle America. David Carr says it's time for CNN to usher Larry King out, and Steve Krakauer responds by putting blame on CNN. B&C reports on the FCC's quiet release of a pivotal document outlining the Commission's spectrum reallocation plan for broadband development. Brian Stelter assesses captioning developments for online network TV, as not all sites have gotten on board. Eric Pfanner tries to figure out what Rupert Murdoch's got in mind with his plans to buy up all of British Sky Broadcasting. Though they've largely kept it to themselves, local broadcasters are concerned about what the Comcast-NBCU union will mean for them. But Comcast is trying to respond to their concerns. A Project for Excellence in Journalism study shows that MSNBC spent more time discussing health care reform than Fox News did. The World Cup continues to draw big ratings both on TV and online. The AV Club has a great list of the best "bottle episodes," a term which refers to episodes confined to a single location, usually for budgetary reasons. NewTeeVee's Liz Shannon Miller wants to know how many cord cutters are out there. Noel Murray and Scott Tobias have a conversation about how TV culture and TV watching have changed in recent years. Great piece here. (Sorry...couldn't resist that subject heading.) The kids cable upfront is almost wrapped up, 4-5% up over last year. A Nielsen study says people don't change their internet usage habits much while they're watching TV. "Pedaling through the Transnational Public Screen" by Esteban del Rio: Cyclists have taken to the Internet to spread their message: the bicycle can stand as part of the solution to a whole range of problems, including climate change, obesity, traffic, pollution, depression, petrol politics, and even oil spills. "Dudes Come Clean: Negotiating a Space for Men in Household Cleaner Commercials" by Caroline Leader: Commercials are showing men in the domestic space as participants in maintaining a clean home. "'Fight for the Futures We Want': FlashForward, Temporality and Queer Possibilities" by Melanie Kohnen: FlashForward breaks with the linearity of straight time to offer moments of unknowability that challenge the script of life, presenting an opportunity to think about multiple ways of interpreting the place of non-straight representations in ideas of the future. "Bend it Like Shuster: Broadcasting Curling's Accessibility" by Daren C. Brabham: A discussion of the strange appeal of curling to American spectators. "Lost at the Movies" by Robert C. Sickels: An exploration of the intertextual references underscoring the narrative of ABC's Lost. A soundtrack release and performance videos are in the works for Treme. With the upfronts sales over, Wayne Friedman considers what the scatter market might bring. Linda Holmes writes of being overloaded with depressing and cynical TV shows. Michael Kimmelman looks at soap operas in Turkey and the Arab world: "Through the small screen, Turkey has begun to exercise a big influence at Arab dinner tables, in boardrooms and bedrooms from Morocco to Iraq of a sort that the United States can only dream about." Brian Stelter profiles Anderon Cooper's reporting efforts in the Gulf area. Wayne Friedman reports on advertiser concerns that they're targeting too narrow an audience. Everything Betty White touches turns to gold; her Hot in Cleveland sitcom on TV Land brought the channel its best ratings ever (if not good critical reviews). But James Poniewozik points out that this still doesn't mean TV is interested in older actors and viewers. John Consoli reports on the syndication deals completed for this upfronts period. Joseph Childers delineates reasons why TV is creatively superior to the movies right now, in his view. Randee Dawn considers how channels brand themselves with reality TV shows. Sony is pushing its version of web TV. Nielsen seems on a mission lately to convince us that people aren't dropping TV and cable for the internet as much as everyone thinks. But Ryan Lawler looks at the same evidence in a different way: "Just because the trend hasn’t happened yet, doesn’t mean it won’t." Gary Strauss describes how cable channels are expanding beyond their initial niches with a wider range of programming: "Once defined by clear content niches, many cable TV networks are scrambling to broaden their audiences by reaching beyond their original mission. Some are shedding entire identities, others are overhauling formats, and many are sprinkling traditional lineups with reality, food, dramas and comedies — popular genres that viewers are accustomed to seeing on rival cable and broadcast networks." Neil Shurley highlights how some local news personalities and national TV execs are using Twitter to connect with audiences. A new Nielsen study says that young generations are less likely to watch TV in traditional ways, but that changes as those viewers age. Carol Phillips also analyzes the results. Monday Night Football ads for next season are nearly sold out, and NCAA football telecasts are also selling well. Myles McNutt speculates on what Glee's impact could be in terms of new show development. Some guy claims Sons of Anarchy was his idea; creator Kurt Sutter sets him straight in a way only Kurt Sutter can. CBS expects to double its retransmission fees take in new deals. 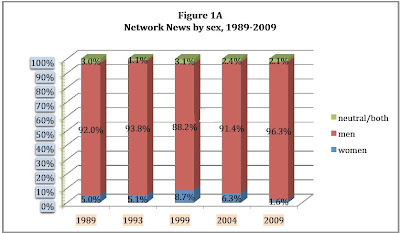 TV Newser isolated the news magazine shows from the 2009-10 prime-time ratings rankings. 60 Minutes was #19, everything else #62 or below. Nielsen is progressing on being able to measure online video viewing. You might soon see ads on screens placed on store shelves. Christy Grosz explores the prevalence of antiheroic characters on cable dramas. 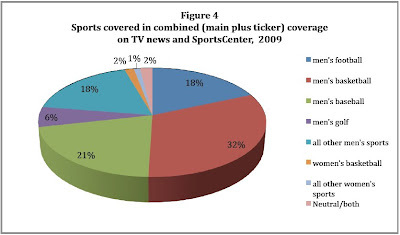 ESPN likes the fact that it's reaching more people via computer and mobile screens, but TV is still the core business. History had the best ratings night in its 15-year history with the reality doc Pawn Stars, which I'm sure has something to do with history. If you're not clear yet on what Google TV is, a new video will help clear it up. The Hangover has become the most-watched video-on-demand movie to date. TV writer Margaux Froley thanks networks for delivering more light entertainment shows of the USA sort. THR's latest Emmy roundtable is with comedy showrunners Chuck Lorre (The Big Bang Theory, Two and a Half Men), Doug Ellin, (Entourage), Steven Levitan (Modern Family), Ryan Murphy (Glee), and Linda Wallem (Nurse Jackie). Mark Walsh reports, "A third of adult U.S. Internet users will watch full-length television shows online this year on a monthly basis, according to new data from market research firm eMarketer. That proportion is expected to grow to 39% next year as watching TV online increasingly becomes a mainstream activity." Brian Stelter reports, "In another content deal for a video game console, ESPN said Monday that it would stream thousands of sporting events to owners of Microsoft Xbox 360 consoles this year." But Ryan Lawler says those thinking of cord cutting need to read the fine print. Laurie Sullivan reports on the superiority of the internet over TV for generating word-of-mouth buzz. P.J. Bednarski interviews NBC Universal research chief Alan Wurtzel about how networks can better use data from set-top boxes. Will Richmond reports that ABC.com is doubling the number of ads that run on its iPad app. South Korea believes North Korea might have illegally pirated World Cup match broadcasts from South Korea. But the Asia-Pacific Broadcasting Union says it's giving the broadcasts to North Korea as a gift to their people. Steve Sternberg considers why it's harder to determine fair ad rates for cable than for network series. Alex Ben Block reports on how HBO and Starz are taking big financial risks on mini-series. John Consoli has a list of shows receiving the biggest ratings boost from DVRs this season, with Grey's Anatomy at the top. And Media Life highlights the predominance of science-fiction shows at the top of the list. TV By the Number has full lists. As part of his 2009-10 season wrap series, Cory Barker has posted his favorite 28 episodes of the season. THR has an Emmy roundtable with showrunners Matt Nix (Burn Notice), Michelle King (The Good Wife), Damon Lindelof (Lost), Daniel Zelman (Damages) and Vince Gilligan (Breaking Bad). Also, Shawna Malcolm writes about showrunner challenges. The finale episode of Breaking Bad's breathtaking third season aired last night. There are reviews from Todd VanDerWerff, Alan Sepinwall, and James Poniewozik. Also, Daniel Fienberg interviews Bryan Cranston, Sepinwall has an interview with creator Vince Gilligan, and James Hibberd also interviews Gilligan. The most fascinating info to come out of the latter interviews is that Gilligan says he and the writers essentially made up this season as they went along (in fact, Gilligan might already be waffling on what the finale ending represented). Myles McNutt has a review and more links. The show has been renewed for a fourth season, with a $3+ million per episode budget. The third season ratings were good. David Carr writes of BP's attempts to keep journalists under their control. Liz Frazier got a tour of the Sons of Anarchy production sets and posts some great pictures. The jump in TV ad spending is a global phenomenon. Tuesday, June 15, 2010 – Lindsay H. Garrison (University of Wisconsin, Madison) presents: "'Crying for Justin Bieber' and Negotiating Affective Fan Performance"
Univision's World Cup coverage is setting ratings records, and ratings on multiple channels are soaring over 2006 numbers. ESPN 3D is pretty much playing to nobody, though. Who is the bigger target of scorn in England today, Robert Green or ITV? Claudia La Rocco assesses whether reality TV dance shows like So You Think You Can Dance have had a positive or negative impact on dance as an artistic pursuit. Elizabeth Jensen profiles Sheila Nevins, the president of HBO Documentary Films: "At 71, her influence is greater than ever, even as many in the documentary community fret both about her outsize power and if HBO will continue its commitment to documentaries after she leaves." Virginia Hefffernan considers how the stars of reality shows like The Bachelor are "real phonies." Charles Isherwood looks at how Glee's success has coincided with the decline of the Broadway musical. Sitcoms Online has a lengthy list of incomplete sitcom season DVD runs. Instead of making the Arrested Development movie, Jason Bateman and Will Arnett have made a comedy short/ad for Orbit Gum. Mike Reynolds considers how college football conference realignment could change the TV sports landscape. Gladys Santiago looks at "faux censorship" of shows, or using swear words without really using swear words, like in $#*! My Dad Says. Adding another word to our lexicon of words ending in -isode, NBC is asking fans to collectively create a "fanisode." The network is breaking an episode of The Office into 86 segments, and it wants fans to recreate and reimagine each segment, and then the individually recreated segments will be formed into a remade episode (I think -- this is all a little confusing). The Access Point tracked social media discussion of the Glee and Modern Family season finales and found that despite having similar audience sizes, Glee far outstripped Modern Family in social media buzz. USA Today offers some random stats from the season past, such as that 53% of viewers watch TV alone, though reality shows are more often watched with family members. Also, this one's interesting: "Convoluted dramas such as Lost and 24 seem to require loyalty from fans, but they don't get it: On average, Lost viewers saw just one in three episodes last season, and just 14% watched 10 or more." I can only assume that's not factoring in online viewing. THR's latest Emmy roundtable is with comedy actresses Wanda Sykes, Sofia Vergara, Jane Lynch, Patricia Heaton, Courteney Cox, and Felicity Huffman. Jaime Weinman tries to unlock the odd aesthetics of the NBC summer burnoff sitcom 100 Questions, which awkwardly meshes single-cam and multi-cam methods. Ben Grossman says ESPN's World Cup coverage scores a draw. Brian Steinberg considers what happens next now that the upfronts have wrapped up. And Anthony Crupi and Steve McClellan look at how cable's upfronts sales have gone. CSI has been declared the most-watched TV series in the world. John Consoli points out that while there has been strong growth in African-American actor employment in TV, there has not been a corresponding growth in shows centering on black lives and culture. Joe Flint also reports on this issue. Nielsen has released its latest Three Screen Report covering TV, internet, and mobile screen viewing. As Bill Gorman points out, despite the assumption that TV viewing is on its way out, TV screen usage is actually on the increase. Larry Dobrow laments that there isn't more history on History. Judge Judy won sweeps for daytime syndication ratings and continues to rule over Oprah. Viewers are increasingly watching long-form content online, so says a study and some cool charts. NBC has completed its upfronts ad sales, which means it's all wrapped up, and Stuart Elliot looks at the differences over last year overall. Joe Flint reports on how declining audiences somehow translated into more ad dollars. James McQuivy argues that Google TV is a much bigger deal than anyone has yet made it out to be,but TiVo says Google TV is nothing new. The Chicago Blackhawks won the Stanley Cup last night (yay! ), and the game drew winning ratings for NBC: it was the highest rated Stanley Cup Final in 36 years, and in the Chicago market it averaged a 50 share and an eye-popping 66 share in overtime. The fast nationals say So You Think You Can Dance won the night over hockey, but live event ratings always take longer for number-crunching, so we'll have to wait for the final verdict. CBS has a bold new idea for how cable operators can find the money to pay broadcast networks retransmission fees: take the money from small cable channels. Um...ok, I'm sure no one will have a problem with that. Marketers are experimenting with 3D ads on ESPN's new channel, but Stuart Elliot says there are some marketing challenges to 3D itself that have to be figured out, such as how to sell us on those glasses. Sony is hyping its 3D products, and Sam Grobart looks at the wide range in TV set choices consumers now have, including 3D. A Time Warner executive predicts that TV Everywhere options will be in 50 million homes by next year. The Guardian's James Robinson reports on softening attitudes toward swearing on British TV. ABC has completed its upfronts sales; NBC is close. Joe Flint reports. Wayne Friedman wonders why MTV bothered to apologize for the Video Awards swearing. Julia Boorstin offers a reason why network upfronts ad rates are up this year despite the recession. Joe Flint has been covering the Comcast-NBCU hearings and summarizes Monday's proceedings. Big changes are afoot and just around the corner for Hulu. I'll post ratings updates every so often this summer. Thus far, ABC has come out of the gates strong, while USA has dominated cable. Nina Shen Rastogi assesses the rise in South Asian and Indian characters on TV. ESPN is throwing a lot of resources behind the World Cup, but you shouldn't plan to watch the tournament at an ESPN Zone restaurant, because most are being shut down, casualties of the recession. The production company that created Who Wants to Be A Millionaire is suing Disney for underpayment. The William Morris Agency is also under fire in the case. A media agency reports that network ad prices fell 10% in the first quarter of this year, while cable was slightly up. The most fascinating new show (and love it or hate it, you have to say it's fascinating, or at least the reaction to it has been) of the 2009-10 television campaign closed the books on its first season last night: Myles McNutt, James Poniewozik, Todd VanDer Werff, and Alan Sepinwall have reviews of the Glee finale; Rick Porter has the ratings; Davie Itzkoff rightfully mocks the club's byzantine route to regionals; Christina Mulligan offers intriguing points about copyright; T.L. Stanley looks at the licensing craze tied to Glee and other shows; Jaime Weinman analyzes Glee's "scattershot drama" approach; Antenna has a roundtable reaction. Fox has plans to keep Glee fans entertained throughout the summer hiatus. Ryan Lawler reports on a study that claims viewers are watching different programs online than on their TV sets. For instance, Gossip Girl is number 1 online, according to the study, yet number 125 in Nielsen ratings. Also, Jessica Vascerallo reports on the popularity of original web series during prime time hours. The U.S. Patent and Trademark Office has ruled against TiVo about a key DVR patent. NBC has restored its current programming department. CBS has completed its upfronts ad sales, garnering 9-10% over last year. Greg Braxton looks at the TV musicals prior to Glee that all failed, and NPR interviews the music supervisor for Treme about the role of music in the series. An io9 roundtable with Zack Stentz (Fringe, Terminator: The Sarah Connor Chronicles); Amy Berg (Eureka, The 4400); Jane Espenson (Caprica, Battlestar Galactica, Buffy the Vampire Slayer), John Rogers (Leverage, The Jackie Chan Adventures), and Javier Grillo-Marxuach (The Middleman, Lost) results in a great description of the activity in a writers room on a TV show. Hollywood Reporter also has a profile of the Parks & Recreation writers room. Brad Adgate points out on Twitter: "Warner Bros TV will have 21 shows in production in 2010-11 & is the only TV studio with at least one show on all 5 networks." Donna Bowman at the AV Club is recapping Season 4 NewsRadio episodes this summer, and her current entry on two genius episodes highlights a sitcom strategy she terms The Pile-On. (By the way, the two episodes she analyzes are on YouTube here and here, but really, you should buy the whole series here). THR's latest Emmys roundtable features comedy actors Ted Danson, Neil Patrick Harris, Ed Helms, Ty Burrell, Aziz Ansari, and Jim Parsons. Jaime Weiman responds to an issue that comes up in the Q&A, the improvisation question. Danielle Turchiano writes about TV actors moving behind the camera to direct, and includes a few behind-the-scenes clips. S.E. Smith writes about the problem of a lack of captioning on online TV content. Mary Kaye Schilling fears that Glee is going the way of previous Ryan Murphy projects: "Just as Glee wraps up its critically acclaimed first season tonight, it is showing dangerous signs of encroaching Ryan Murphy syndrome, a corrosive ailment in which the writer creates a groundbreaking TV series with fascinating and provocative characters and plots that effectively combine fantasy and reality, only to push the show into a black hole of mind-numbing weirdness populated by sociopaths and freaks." ALso, Ken Tucker suggest three things Glee should fix next season. But Matt Zoller Seitz values Glee's radical sincerity. Pardon the self-promotion, but I somehow showed up on a list of TV Superfans to follow on Twitter, and there are also some other great ones on there I highly recommend to those looking for intelligent TV discourse in under 140 characters (yes, trust me, it's possible), like @memles and @noelrk. Richard Verrier reports on Technicolor's moves into TV animation. Two New York stations might outsource their sports coverage to the Mets' cable channel, SNY. TBS is putting marketing weight behind Conan O'Brien's Tonight Show for an Emmy nomination. Sen. Maxine Waters claims that some opponents of the Comcast-NBCU union are afraid to speak out against it for fear of retaliation of some sort. Journal of the American Dietetic Association researchers cataloged 3,000 TV ads for food and found that you'd die pretty early if you shaped a diet around their suggestions. With Breaking Bad as his example, Jaime Weinman points out that basic cable can do just as complex and quality a show as HBO has done without having the same freedom from graphic content censorship. Fox has already sold 80% of next year's Super Bowl ad inventory. Tuesday, June 8, 2010 – Tim Raphael (Rutgers University - Newark) presents: "The Reagan Brand"
Wednesday, June 9, 2010 – Cynthia Chris (City University of New York) presents: "$#*! That Lawyers Say: Or, The Nine-Sixteenths of a Second That Shook Television (Sort Of)"
Mike Schwager argues that television needs to be transformed to produce more meaningful content: "Instead of descending into programming that reflects the lowest common denominator of attitudes, tastes and proclivities of our collective viewing population, television can pull and raise content to the highest values of human aspiration." Nice idea, but he's a little vague on the details. Will Richmond delineates the problems holding Apple TV back. Dana Walden and Gary Newman, chairmen of 20th Century Fox Television, answer Melissa Grego's questions about Glee, Peter Chernin, NBC, and keeping up their success. Cable is poised to take great advantage of the decline in DVD sales and rentals. Andrew Hampp looks at the battle for children's marketing dollars. As multiple live views of the gushing Gulf oil are now available online, television news is also upping its coverage. More on the topic from Michael Malone. Magic Johnson is throwing his star weight behind support for the Comcast-NBCU merger, claiming that the union will help foster diversity, but former FCC Chairman Kevin Martin sees it differently. Also, the merger review will be going on a road tour, hitting Chicago in mid-July. Oprah Winfrey's new cable channel is grabbing up big advertisers already, which should have future competitor Lifetime worried. Figures released recently indicate that Seinfeld has made $2.7 billion in syndication. This, folks, is why they call it "silly money." ESPN is launching its 3D network with the World Cup. Brian Steinberg says the upfronts don't matter as much anymore. The British version of the Emmys were held last night, and winners included Kenneth Branagh, Julie Walters, and Mad Men. A Modern Family producer now says the show might have gone "a little too far" with the iPad episode. Cable has forced the broadcast networks to realize that people might actually want to watch TV during the summer. The LA Times offers a summer viewing guide. Bravo relies heavily on social media for conducting market research on its reality shows.